Join Chef Jae Jung (Le Bernardin, Dinner Lab) on a journey from her childhood in South Korea to her culinary successes in New York City. Through a cocktail hour and six course meal, guests will enjoy an interactive storytelling experience. 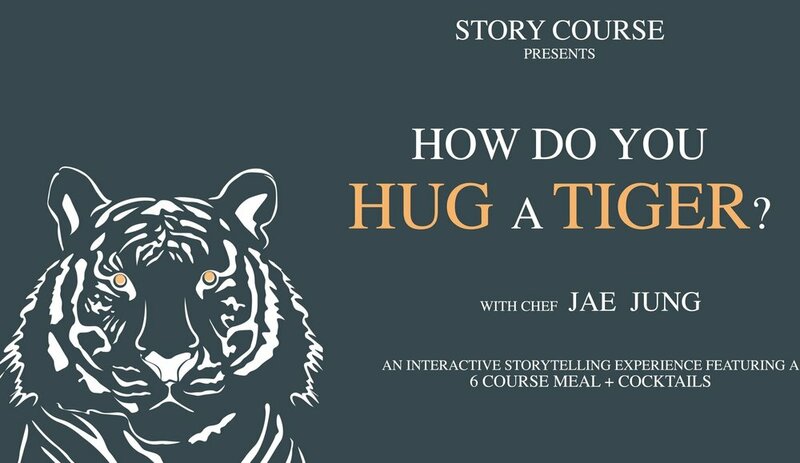 Each course unveils a chapter of Jae's life story. Voyage through the struggles of a post-war upbringing to the bright lights of the city, while eating your way through a dinner of traditional Korean recipes to modern American delicacies. The dinner table has always been a place to communicate and share stories with one another. Let's celebrate that. *Due to the timeline of this event, we cannot accommodate gluten-free dietary restrictions. Vegetarians, come join! 2017 and 2018 were great years for the “Tiger”! Thank you to all who joined. Stay tuned for future dates. Meanwhile, please contact us if you’d like to book a private “Tiger” dinner.